Making the decision to start a small business is always a daunting proposition and if there happens to be a lot of overhead to boot it’s enough to put a lot of people off all together. That was my main concern when I began to consider starting my own indoor growing operation. I live in a northern climate, and while the summers are nice the winters are brutal – nothing grows at that time of year here so there’s definitely a market for the tomatoes and other produce I want to grow. I have to admit that I was pleasantly surprised to discover that I don’t have to break the bank to get this thing off the ground. 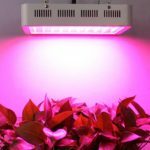 LED grow lights are far more efficient than traditional lights and they give off a lot less heat, which means you don’t have to worry about a bunch of expensive cooling equipment. One very affordable option in this category is the King Plus 1000 W which normally retails for well under $300. 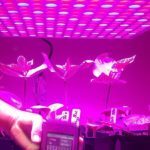 The one concern that a lot of indoor growers have when it comes to the type of light to use is whether it can provide their plants with all of the light they need. 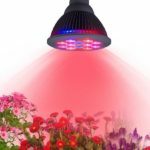 This light is designed to cover the entire spectrum of colors including, both red and blue, which is ideal for both the vegetative and the bloom stages. It also has IR bulbs and UV bulbs as well. 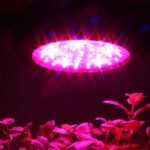 The infrared lights are ideal for helping with cell division and the ultraviolet light actually helps the plant grow by disinfecting. 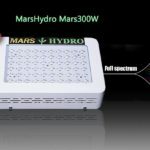 This comprehensive use off different LED lights ensures your plants are nice and healthy. One of the biggest issues you’re likely to face as an indoor grower is how to deal with the intense heat generated by the lighting system you use to grow your plants. 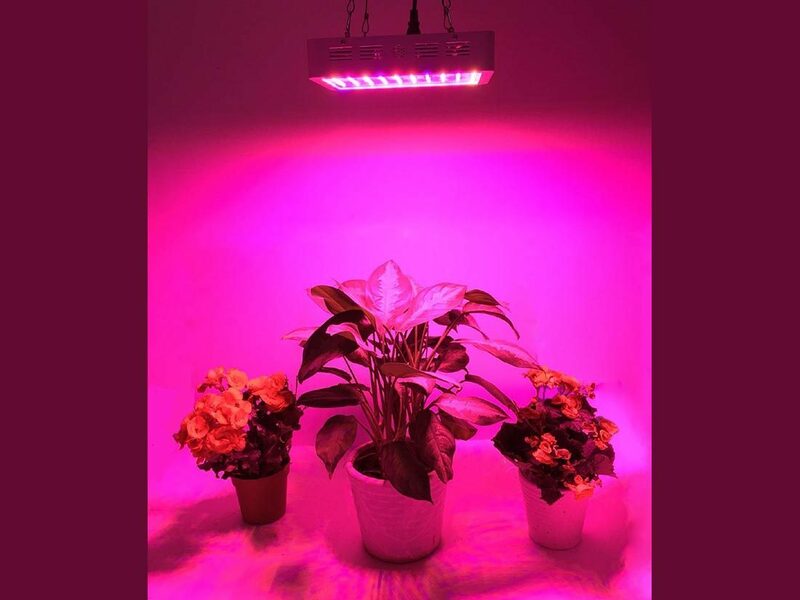 Most traditional lights such as fluorescents and HID’s generate a lot of heat, which requires an expensive cooling system for safety purposes and to control the temperature inside your growing operation. This King Plus light system produces up to 90% less heat, both because of the nature of LED lights and because of its revolutionary heat dissipation system. According to the manufacturer these lights actually reduce the heat emitted by up to 10% to 15% over other LED lights using a dual fan system. 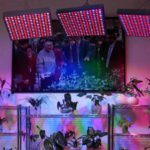 When you’re starting a grow operation you don’t just have to consider the expense of the equipment; you also have to consider the massive electric bill you will inevitably face as well – those lights require a lot of electricity! That’s another great benefit of these bulbs by King – they’re extremely energy efficient. While they’re rated to produce the equivalent light of a 1000 W bulb they only draw about 180 watts, which means great savings on your electric bill. I was having a conversation with my wife a couple of years ago expressing my significant frustration with bulb manufacturers – with the great leaps in technology we’ve made in the last few decades you would think we can make a bulb that lasts for a long time, but that never seemed to materialize. Over the last couple of years it seems like we’re finally starting to see the long-lasting bulbs we’ve been expecting; in the indoor growing business that has largely come as a result of the introduction of LED lights. This bulb is actually rated to last for up to 50,000 hours operation and, in case you’re not sure, that’s up to 6 years of use out of one bulb. Now that’s more like it! While a light like the King Plus may seem relatively inexpensive, you have to keep in mind we’re talking about a single light here. One light won’t get you too far if you’re planning on a large grow operation. This light is designed to provide light for a relatively small area; it will cover an area about 3.4 feet x 3.8 feet. 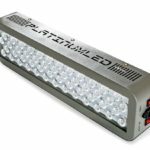 The bottom line is this – if you’re planning on starting a decent size operation you’re going to need several of these lights, so you have to keep that in mind when you’re putting your budget together or you’re going to be in for an unwelcome surprise. You might remember that I mentioned that while this light is rated to produce the equivalent light intensity that a traditional fluorescent or HID would produce from a thousand watt bulb, it only draws about 180 watts of power. If this is accurate it means significant savings, but the problem is more than a few customers have complained that the 180 watts is actually about all its output is as well, which is significantly less than the 1000 watts that the manufacture claims it puts out. The other major complaint that’s been leveled at this light is that the bulbs aren’t always reliable. In some instances the lights have been known to flicker and it’s also been suggested that some will burn out after only a couple of years. When you consider that the manufacturer is claiming that this light should be good for up to 50,000 hours, that’s extremely disappointing. While it’s a little bit worrying that some customers have complained about the longevity of these lights, the vast majority of people that have purchased this lighting system have been quite satisfied. I was particularly impressed with the heat dissipation system that includes two cooling fans. 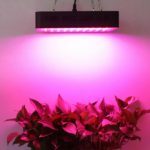 The fact that it also has multiple different bulbs to cover the full spectrum of light needed by growing plants is also a positive feature. When you consider all of these features together, along with the competitive price tag, it seems like a pretty decent deal.